The Hacienda de la Palma is a traditional olive grove. In its restoration the architectural and construction principles of the original period have been followed. Located a few kilometers from the thousand-year-old city of Écija, is the Hacienda de la Palma. Surrounded by new olive groves and cereal fields, it has now been carefully restored and adapted to the needs of today, which has managed to combine the flavor of yesteryear with the comfort that is required today. Quiet place where you can still enjoy a sky full of stars. 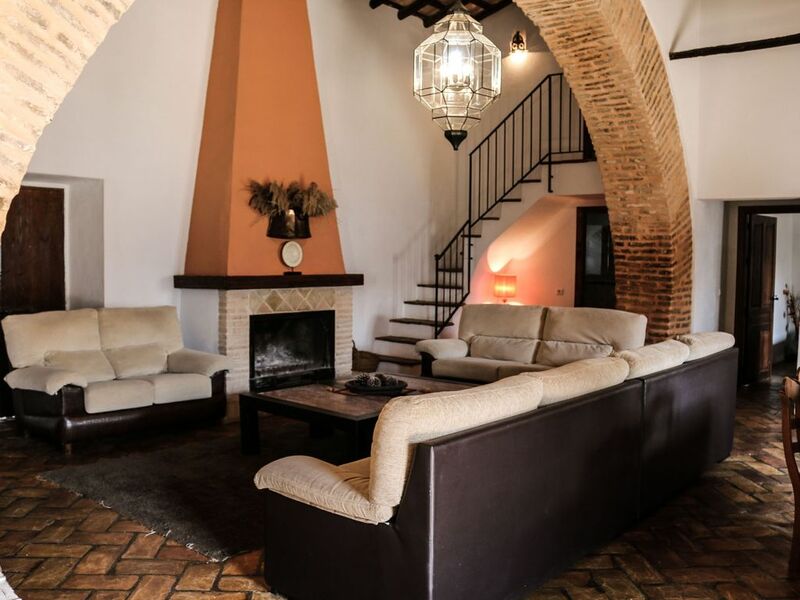 Due to its location in the center of the region, and due to its proximity to the N-IV motorway, the Hacienda has the ideal conditions as a starting point to get to know Andalucia. Francisco is a great host, the property was fantastic for a group like ours. All mod cons, WiFi good enough for streaming and air conditioning kept us cool in 44degrees heat. The pool was a great place to chill and the whole place was well equipped. Wonderful to have tennis court, games room and bicycles as well as the lovely pool. Francisco es un encanto, y la atención inmejorable, muchos gracias por este fin de semana.